Trained in Electronics and Communications in Sydney. Met my wife at a church dance, married for 45 years, 5 adult children, 3 living in Geraldton. Moved to Goulburn, NSW for work at the University maintaining audio visual equipment. 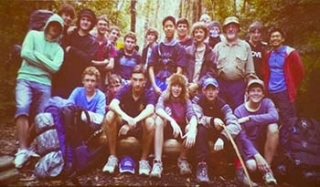 Became involved with the Boys Brigade at the Baptist Church. Transferred to Wagga Wagga, NSW by the university in 1983, designed audio and TV studios and the first multi-point video conferencing for the university. 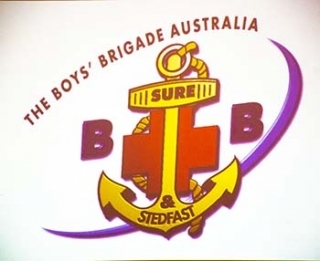 Continued with Boys Brigade as Captain and developed the first Boys Brigade Australia web site. Moved to Geraldton 10 years ago and re-joined the Boys Brigade for the last 2 years. Peter Shave from the Boys Brigade revealed the hidden life of our own Sven Petterson, Queens Badge Awardee, the highest honour in the Boys Brigade !! 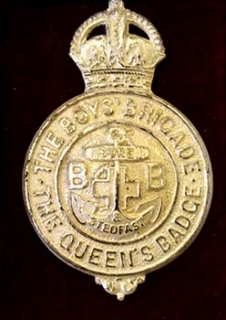 The Boys Brigade was formed in 1883 and is the longest running boys organisation. The Boy Scouts was formed in 1908. The Brigade was run along military lines, but has modified a little. It is Christian value based and their program consists of Christian Devotion, Fun & Games, Working Together and Community Service. The members work towards achieving badges in a variety of areas including cooking, map reading, etc with the ultimate being the Queens badge. The local company has 37 members and 8 officers and meets at The Anglican Cathedral each Thursday night at 8.00pm. There are three age groups, pre-primary, primary and high school, catering for boys from 5 – 18. Peter has been involved in the Boys Brigade in N.S.W for many years and in Geraldton for the last two years. A vote of thanks with an End Polio Certificate was given to Peter by WXL.